Freshman David Lange wants to start a chapter of Delta Lambda Phi, a fraternity specifically meant for gay, bisexual, transgender and progressive men. The Interfraternity Council is considering six chapters to potentially join campus. 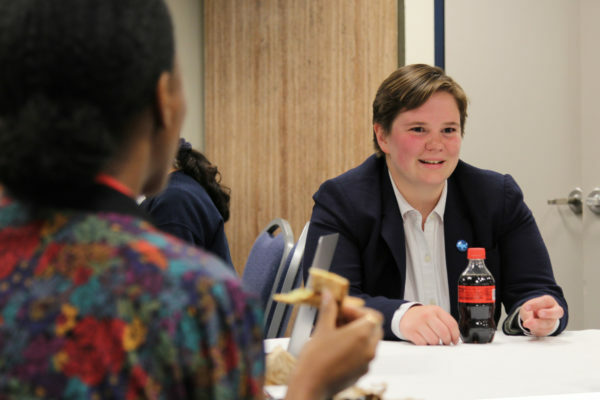 The Interfraternity Council heard presentations from six national fraternities this month about launching chapters at GW, the president of the group said. Alpha Sigma Phi, Chi Phi, Delta Lambda Phi, Phi Delta Theta, Phi Gamma Delta and Sigma Alpha Mu presented in front of the IFC’s president’s council. Greek life council members want to expand the number of fraternities on campus to allow more men to join fraternities, IFC President Brandon Capece said. Capece declined to comment on the organizations the IFC is considering, saying it was too “premature” in the process. Members of the IFC will notify prospective organizations of their decision early next month, he said. Members of the council are assessing the chapters based on their potential contributions to the GW community, the organization’s philosophy and values, academic integrity, stance against sexual assault and capacity to develop sizable membership on campus. “It was important for us that any organization we invited to campus would help in our goal of expanding the number of unique opportunities for potential new members within Greek life and promoting diversity within our community,” Capece said. Earlier this semester, the IFC announced that it is planning to add chapters so that more men who rush fraternities are offered bids. The IFC is also seeking to build back its membership after two chapters were shut down within the last two years. Delta Sigma Phi was the latest fraternity to join the IFC and recruited their first members last semester. Earlier this year, a group of freshmen launched Delta Lambda Phi’s bid to start a chapter on campus. It is one of the only fraternities in the country specifically aimed at gay, bisexual, transgender and progressive men. 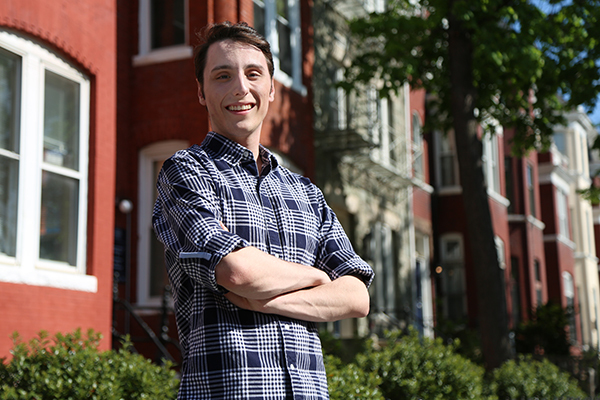 David Lange, a freshman, said he and about 10 other students want to start a chapter of Delta Lambda Phi to diversify the Greek experience at GW and to offer gay and bisexual men more social opportunities on campus. 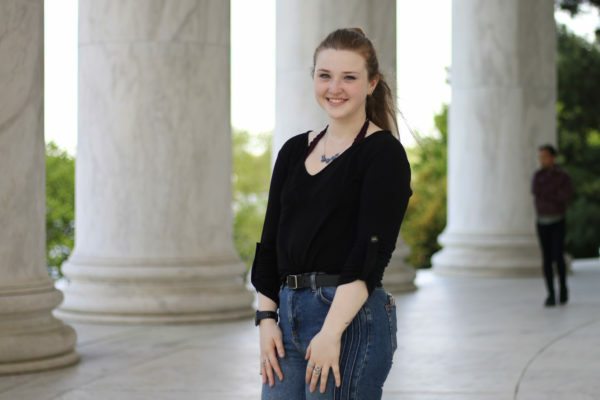 Lange, along with a Delta Lambda Phi alumnus and a GW graduate student, presented in front of the IFC’s president’s council earlier this month. If approved, Lange said Delta Lambda Phi would recruit its inaugural pledge class next fall. He said that while existing chapters are not discriminatory, many gay, bisexual and transgender men don’t join social Greek life because of negative stereotypes about the fraternity experience. With 30 chapters and five colonies around the country, Delta Lambda Phi is the smallest national organization being considered by the IFC this semester. Others like Phi Delta Theta and Phi Gamma Delta have more than 140 active chapters. L.T. Piver, the assistant director of expansion and growth for Alpha Sigma Phi’s national organization, said the chapter would be successful at GW because of the fraternity’s already strong presence in D.C. Alpha Sigma Phi has established a chapter at American University. 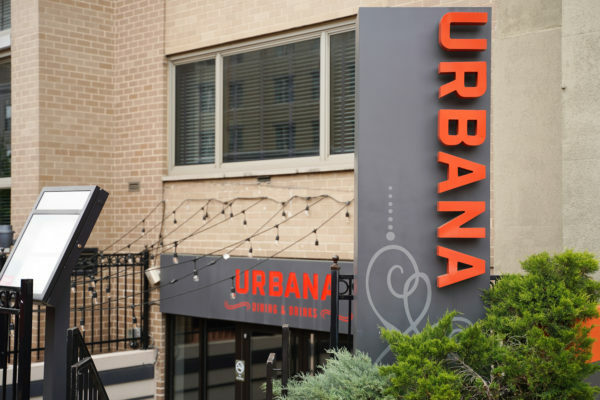 “Understanding the caliber of student that attends GW and the alumni support within the area, we see a partnership between Alpha Sigma Phi and GW to be very successful and rewarding for both the campus community and our fraternity as a whole,” he said in an email. Piver said the the organization’s traditionally large pledge classes – about 50 men for a university of GW’s size – would help boost fraternity membership on campus. “We see a lot of potential within the Greek community at GW knowing that, while all the chapters have continued to grow and be successful over the past few years, the interest level of the student body has yet to be met and that there are a large majority of students seeking a Greek experience on campus but haven’t been able to find their place,” he said. Christian Madrid, an expansion specialist for Chi Phi, said the fraternity was interested in starting a GW chapter because it would grow the fraternity’s presence in D.C.
“GW’s location in the heart of the nation’s capital is an ideal location for any fraternity chapter. In addition to this, we recognize the academic, philanthropic and leadership strength of the Greek community and strive to be a part of it,” Madrid said in an email. Andy Huston, the executive director of Sigma Alpha Mu, said the organization would release more information if it is selected to join the University. Three other national organizations did not return a request for comment.